One of the hardest hit areas near Irma’s landfall was Goodland, Florida, where the hurricane not only damaged properties, but permanently “condemned” several businesses, including several local restaurants. As a result, many businesses now have to look for new locations, and some are even collecting donations to rebuild in the community. While many Floridians have committed themselves to helping some of their favorite establishments reopen by donating funds, many others wonder why these restaurants are facing hard times like these, given that all of them had insurance policies. Isn’t rebuilding as simple as filing an insurance claim? Many who suffered damages from the recent storms felt that they had done their due diligence by having homeowners or windstorm coverage, as well as flood insurance. 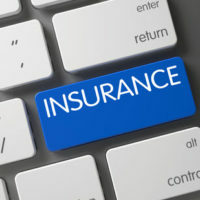 However, having the insurance is just the beginning: filing the claims can turn into a full-time job, as business owners find themselves having to document every single loss and trying to negotiate fair settlements. Trying to do so with the assistance of an insurance attorney can inevitably spell lower payouts and difficulty getting back on your feet again. In addition, many restaurant businesses found that there were thousands of dollars in food costs that were not covered by insurance. Restaurant owners and other businesses are not alone: Florida’s agriculture industry reportedly suffered more than $2.5 billion in losses due to the storm, warranting a “secretarial natural disaster” designation. It is important to note that this designation makes farmers eligible for very specific insurance programs and emergency loans, but they have a limited window within which to apply for these opportunities. Tourism businesses also experienced their fair share of damage. What about Business Affected By Housing? Irma could leave behind delayed effects on several markets in Florida, including the real estate market, which inevitably affects businesses as well. Just following the storm’s recent blow to Central Florida, home sales dropped 30 to 40 percent in one month in Orlando alone. Foreclosures have also been on the rise, which then affects home prices as they start to hit the market. Unfortunately, both businesses and homeowners are hit by rising building material costs and continued labor shortages in construction, as well as higher utility costs. It is important to remember that while insurance company adjusters represent the interests of the insurance company, your attorney and any professional adjusters they work with are tasked with representing you. This is especially important if your insurance company is informing you that the damage exceeds your insurance limits (based upon how the damage has been classified by the company). Attorneys are in a better position to negotiate with the insurance company when it comes how the damage has been classified. Without a background in insurance law, simply hiring a public adjuster may place you in a situation where you cannot effectively advocate receiving additional funds under the policy. If your business was damaged in the storm, don’t waste time in ensuring that you receive help from your insurance claim in rebuilding. 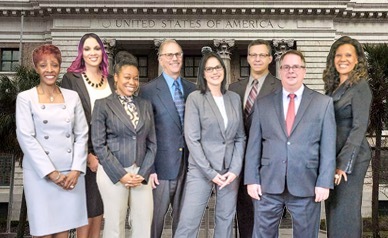 The Tampa corporate lawyers at HD Law Partners have significant experience with assisting business owners with their claims. Contact us today to find out how we can help you get back in business.